AASHRM COMPUTER EDUCATION AND WELFARE SOCIETY SAGAR is located in SAGAR Madhya Pradesh . AASHRM COMPUTER EDUCATION AND WELFARE SOCIETY SAGAR is registered as a Society at SAGAR MADHYA PRADESH of state Madhya Pradesh with Ngo unique registration ID 'MP/2015/0086447' . 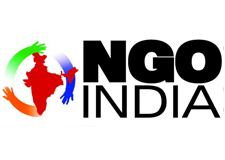 The NGO registration is done by Registrar of Societies with registration number 06/09/01/07722/10 on the date of 26-08-2010, Its parent ORganaisation is PaulFoundation. The Chairman of AASHRM COMPUTER EDUCATION AND WELFARE SOCIETY SAGAR is BhuwaneshSharma and Chief functionary officer is Bhuwanesh Sharma. Thousands of students have been education in respect of Information Technology, provided many types of vocational training as a partnership with other groups and NGOs . Worked in rural areas for education and drinking water. Worked for the child labour abuse. Worked for medical facilities and health of the rural men, pastoral and hicks.